River Rising/Sube el Rio: An Exposition of Science, Art and Technology, which will be on view June 30, 2018 through June 30, 2019, consists of eight commissioned sculptures by 15 artists informed by the 1918 Bronx International Exposition of Science, Arts and Industries, which took place on this same site 100 years ago. 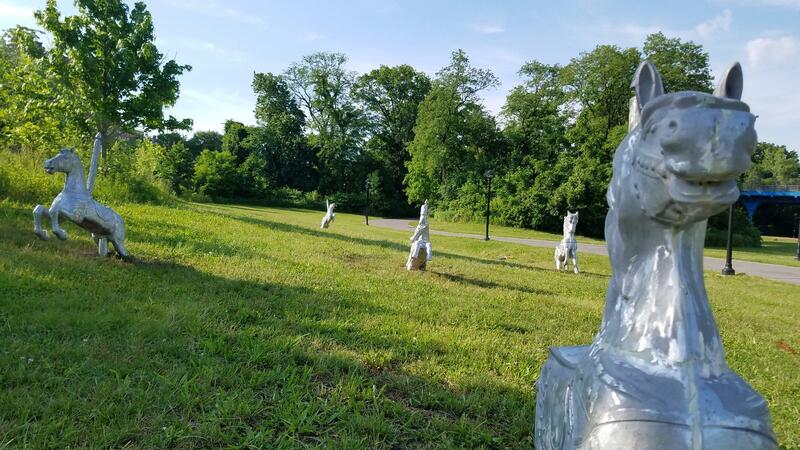 Produced by BRAC’s Executive Director Gail Nathan and Program Associate Laura James, with site curation by KaN Landscape Design, Karine Duteil and Nadej Hocini, River Rising is the first major public art exhibition to be located in Starlight Park. 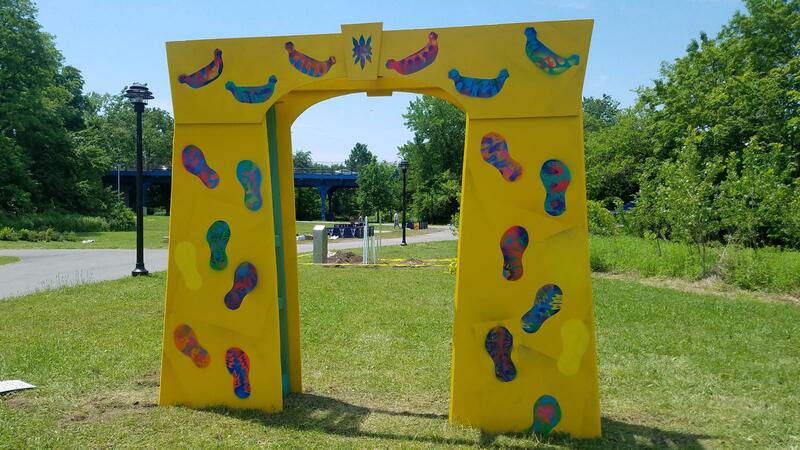 River Rising presents large-scale outdoor artworks and sculptures that explore what it means to serve a community that is connected to and intersected by Starlight Park and the Bronx River. Through these reimagined “pavilions,” participating artists explore notions of access to green spaces, outdoor recreation, environmental reclamation, urban design, community-based entrepreneurship, and other environmental issues. Topical to the Bronx and beyond, this extravaganza intends to connect Bronx histories to ongoing evolution of the arts, technology, and science. The first weekend, Saturday, June 30 & Sunday, July 1 will open with much fanfare including performing artists, emerging creative entrepreneurs, games and art workshops, and moonlight dancing to Latin jazz. World’s Fairs have traditionally served as futuristic beacons, providing expositional platforms for the avant garde in design, scientific exploration, and industry. 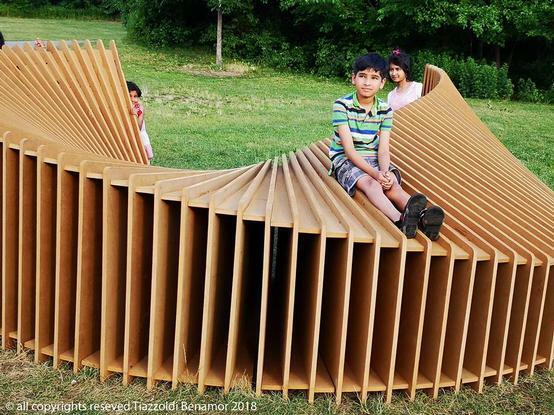 River Rising installations embrace new technologies and incorporate interactive elements such as health monitoring, stargazing, and puzzle solving that engage park-goers with places to sit, play, and develop a deeper understanding of their built and natural environments. Some works evoke fairgrounds of times gone by –such as Samantha Holmes “Starlight Ride,” which implants carousel horses directly into the ground; or “What Goes Around Comes Around” by Drew Seskunas and Gabriela Salazar that evokes the dizzying feelings of a rollercoaster ride. BRAC, in cooperation with the Bronx River Alliance and KaN Landscape Design, are animating the recently restored but currently underused Starlight Park, which is centrally located in the West Farms neighborhood of the Bronx. The intent is to address ongoing conversations related to science, art, and technology, as they are relevant to our multicultural community. Through the production of temporary public art installations that evoke “pavilion” structures, our new fair will also bring exposure to the enterprising spirit of our borough and again herald Bronx and NYC residents to the river and this new parkland for a 21st Century cultural experience. Programs are made possible with support from the NYC Department of Cultural Affairs in partnership with the City Council, the NYS Council on the Arts with support from Governor Andrew Cuomo and the NYS Legislature, and Con Edison. Additional support from the Bronx Borough President Ruben Diaz, Jr., Councilman Ritchie Torres and the Bronx Delegation. River Rising/Sube el Rio is made possible in part by the Lincoln Center Cultural Innovation Fund, which is generously supported by The Rockefeller Foundation and administered by Lincoln Center. River Rising/Sube el Rio is produced in conjunction with KaN Landscape Architects and Bronx River Alliance, in partnership with NYC Parks.